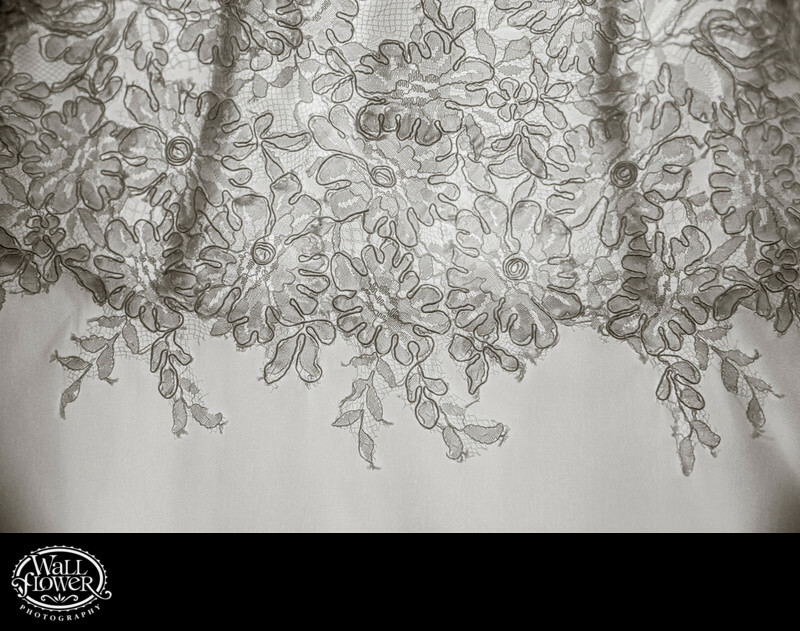 This highly detailed photo reveals all the intricate twists and patterns of the stitching embroidered on a bride's wedding dress. By hanging the dress in a bright window, the detail of the stitching is revealed more clearly, making it easier to photograph. The black and white effect further helps to draw out the detail.